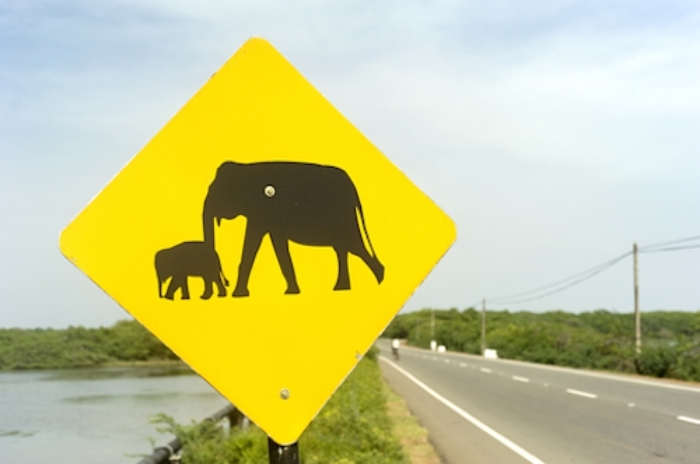 Market Share: Creating the Elephant in the Highways of the Mind First! Mind share precedes market share; that is the most powerful law of niche marketing. There is tremendous leverage in this mighty real estate niche marketing law. Therefore, capturing mind share should be your priority, unless you absolutely have the need to justify your success with a real estate marketing strategy that involves heavy lifting. Here is a real estate marketing branding case study of a friend of ours, Joe Petrowsky, president of Right Trac Financial Group, Inc., who we met through Active Rain. This case study demonstrates the incredible leverage you can enjoy if you apply this powerful niche marketing law. Prior to being a highly successful mortgage broker, Joe opened his own real estate company in 1970. Starting from scratch Joe had no brand name recognition and needed to create an identity in a hurry. He decided to buy three 40’ trailers at an auction that his brother ran. He had both sides painted black on yellow. They said the following, “PETROWSKY REAL ESTATE CO. IF YOU DON’T KNOW US YET, YOU SHOULD”. Can you imagine how big each letter was, especially with this color combination? He then rented three parcels of land that abutted the interstate, two on one side and one on the other. Each parcel was leased for 5 years. Joe figured the state would eventually start an action to have him remove the trailers. But, between the ostentatiousness of these trailers along the highway that no one could miss and the press that he got (which he made sure of) he was able to capture a huge amount of mind share, fast! Joe’s company became the number one volume producer in Eastern Connecticut in just 17 months! He quickly controlled the listings throughout the area. Then in 1985 he sold the company to 13 of his agents. He had 100 sales people and 5 offices at the time. If your quest is market leadership leverage the power of niche marketing’s most powerful law: Mind share precedes market share. How can you leverage this law in your own practice?